New York attractions are plentiful in the city that never sleeps. There are literally hundreds of things you can do. Which attractions are really worth visiting? 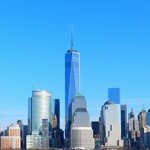 I’ve put together a list of the Top 10 attractions that are popular, but I think will really make your trip to New York memorable. Ordering your tickets online is safe, easy and can save a lot of time and money! There are several discount passes that you can purchase before you go to New York. Two options are the New York Explorer Pass and the New York Pass. They are very easy to use and can save a lot of time and money. But which pass should you choose? If you want to have a once in a lifetime experience and see Manhattan from above then you should take a helicopter tour of Manhattan! For around A$297 you’ll be flying above the Big Apple for about 15 minutes. When you are in New York for the first time and want to get to know the city, the best way to see it is by taking a Hop on Hop off Bus. I recommend doing it on the first day (or two) and just enjoying the ride, that way you get to see everything! New York is a city with a lot of sports events. If you want to visit an exciting game then I suggest you go to a New York Yankees game. It’s important that you have good seats, but these needn’t be expensive. Of course, a Top 10 wouldn’t be complete without an observation deck! On the 86th floor you have a wonderful view of Manhattan. I recommend going on a clear day, that way you can see most of the city. The Lion King is one of the most popular Broadway musicals. Visiting a musical will be the highlight of your New York trip. I recommend buying tickets before you leave. Buying tickets in New York is not only more expensive, but it can be a hassle and a lot of the shows are sold out. Real gospel music touches everyone! A lot of people therefore decide to do a gospel tour. You can choose between a gospel tour in Harlem or in Brooklyn. And if you want, you can extend your tour with a real soul food lunch. One World Observatory has an observation deck on the 102nd floor. The extremely fast elevators called Sky Pods bring you up to the 102nd floor where you can enjoy the views. A relaxing and fun way to enjoy Manhattan is by boat. There are a number of boat tours available but the best value for money is the Circle Line: Best of NYC Cruise which lasts 2.5 hours. 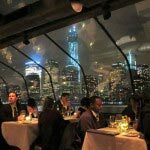 Take a dinner cruise and experience the splendour of New York by night! Whether you want to relax on a luxury dinner cruise or enjoy a dinner cruise with buffet, there are enough options!